Now that we are finally able to get out and enjoy all the wonders of longer, warm, summer days, we are also more likely to encounter nature’s critters and insects. Some of which may even leave us with a painful memory, we would rather not reflect back on. If you have ever been stung by a bee or wasp… you know exactly what we mean. If you think you may be allergic to bee or wasp stings, have had multiple (10 or more) stings, were stung in the mouth or throat or have had a severe reaction in the past, immediately seek professional medical help. 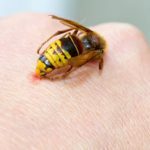 For those who are not allergic to bee or wasp venom, a sting can typically be treated at home with some simple first aid. In this case, the most distinct symptom for many is the burning, stinging, pain associated with the venom that is released into the wound from the puncture of a stinger. You may also see some swelling and redness around the site, which can vary depending on where the sting is located. Owww! It got me… now what do I do? Icing the sting site and if possible elevating the area, helps to control swelling and may even help to alleviate some of the stinging. Be aware that anything tight, like jewelry or clothing, may need to be removed from the affected area. Swelling might make removing it difficult later. 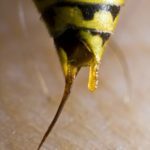 If the stinger is still there (honey bee stingers are barbed – often remaining in the skin), the sooner you remove it, the quicker you stop the venom from pumping into the tissue. Scraping the stinger away, rather than tweezing or pinching, will prevent the injection of more venom. Cleaning the wound and keeping it clean while it heals, over the next week, will help prevent infection. Antihistamines like Benadryl may be used (as directed on the bottle) to relieve itching and burning, while common over-the-counter pain relievers like, acetaminophen and ibuprofen can help with the stinging.Some have found that 1 part baking soda to two parts water, can also help with the redness, itching, and stinging. Most importantly, even if you have never had an allergic reaction before, you should closely monitor your symptoms for anaphylaxis, which is a severe allergic reaction to the venom. Typically this occurs within seconds or minutes of exposure. Less frequently, will there be delayed reactions. 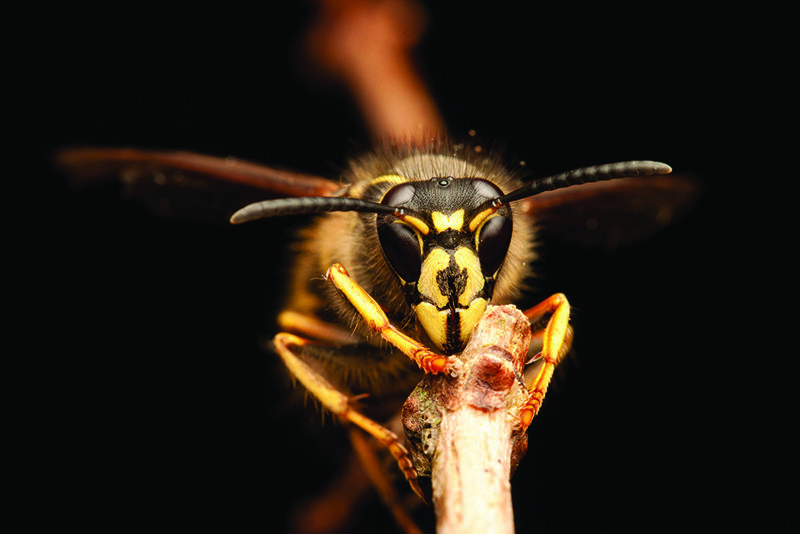 If you notice that you have a wasp or bee nest near or on your home, consider calling a professional at Modern Pest Services to help manage them. Keep a respectful distance and don’t disturb the nests – it could be a real pain in your neck!